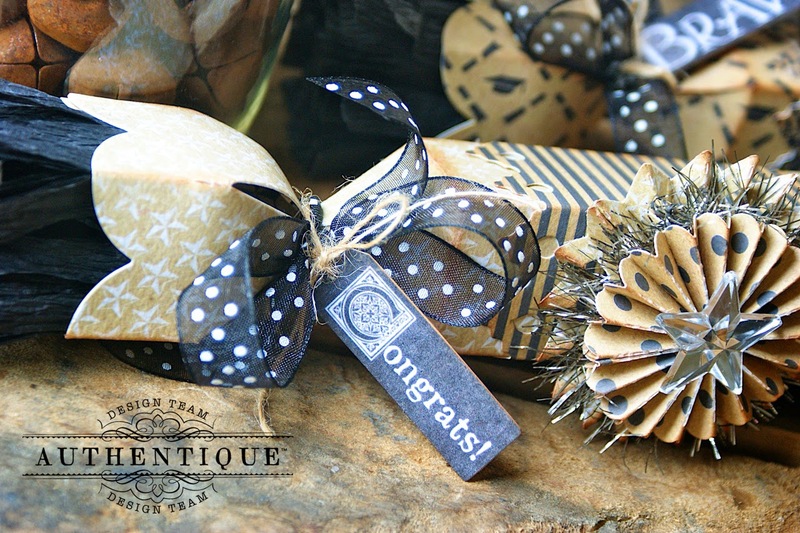 Hey everyone, it's Hilary here today with a fun project for you using the "Accomplished" collection from Authentique Paper. Are you planning any graduation parties this month? I know I am, as my littlest is graduating from 5th grade and heading into middle school...but perhaps you have a high school or college graduate whose ready to take on the world, and these sweet little vintage inspired "Diploma" treat poppers will be a sure hit, at the big graduation party. I hope you enjoy! 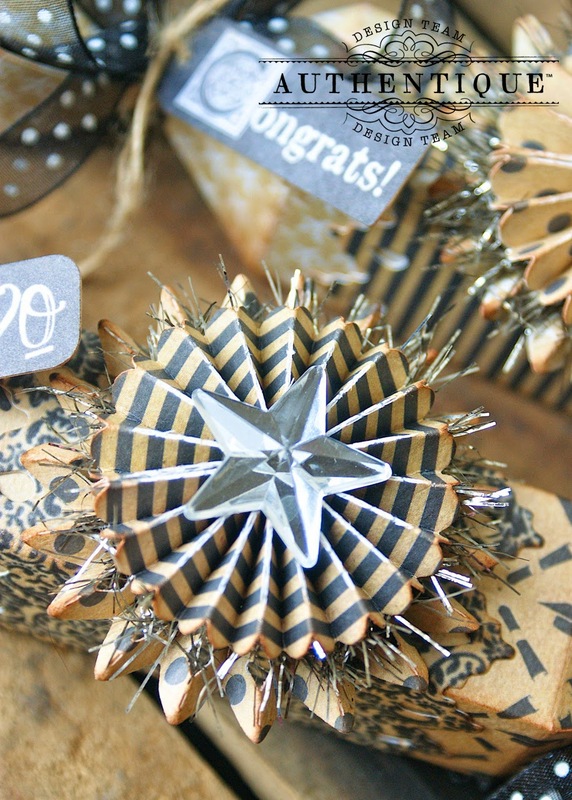 ...and added some fun paper medallions to the center complete with mirrored stars and vintage tinsel trim. 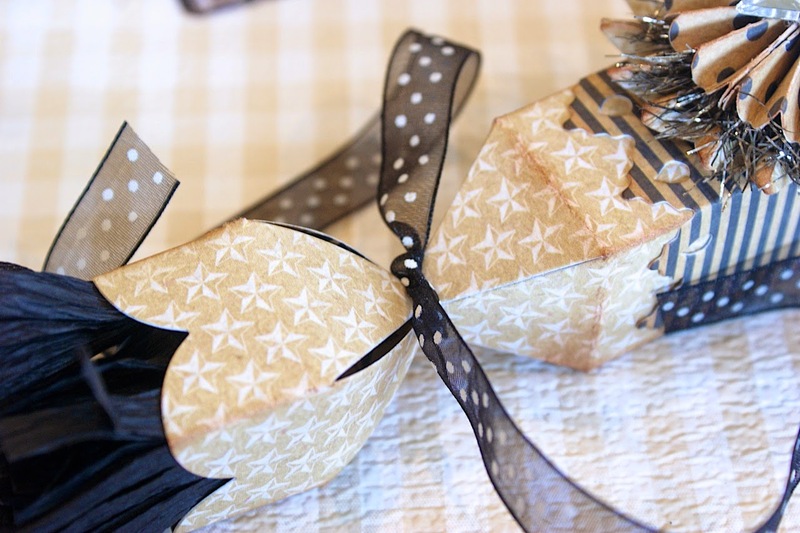 I added sentiment tags and polka dot ribbon to the ends of the treat poppers. 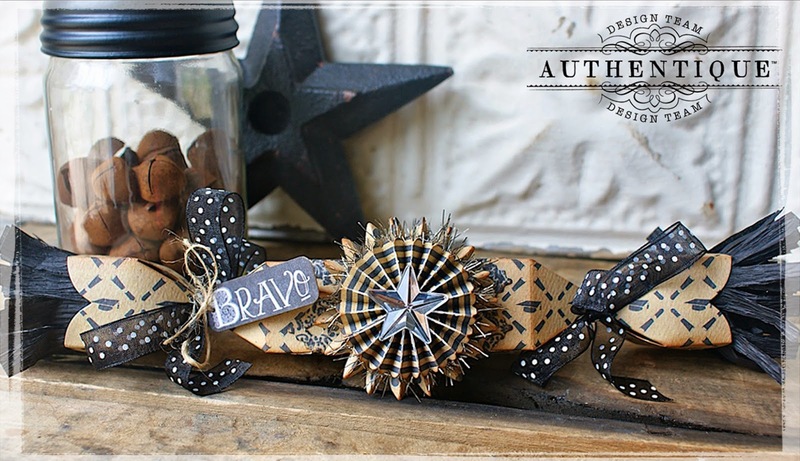 I really love this "Accomplished" collection, it has the perfect vintagey feel, and the patterns are just perfect for all your graduation and accomplishment projects. ...and no vintage treat popper is complete without some crepe paper fringe. 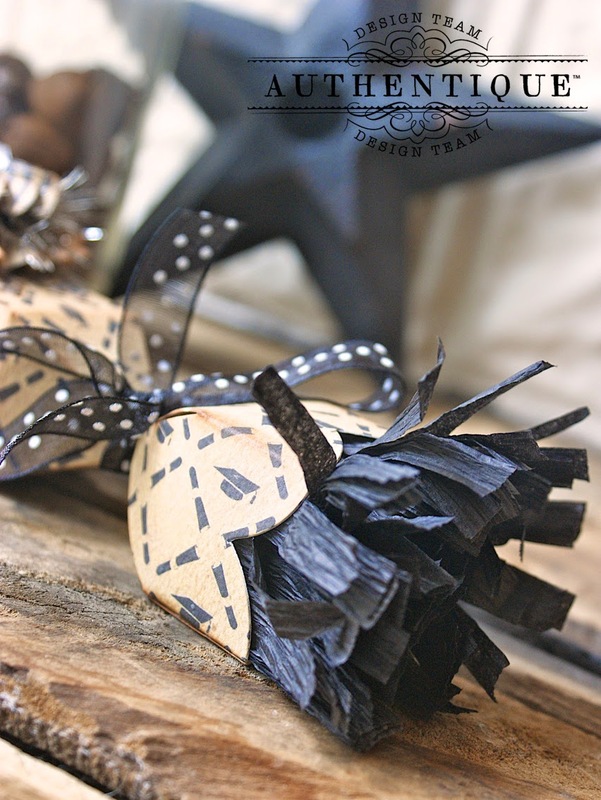 I'd love to show you how I made these, so gather your supplies and lets get to work. 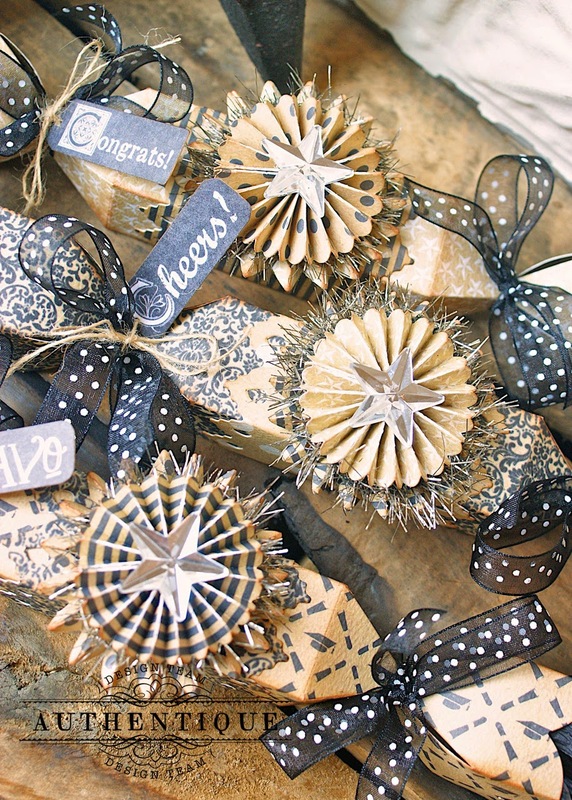 First, using the Brenda Walton "Treat Popper" die from Sizzix, and your die cutting machine, die cut as many poppers as need for your party. I created 3 for my project today. Each die cut will have the popper and wrapper included. 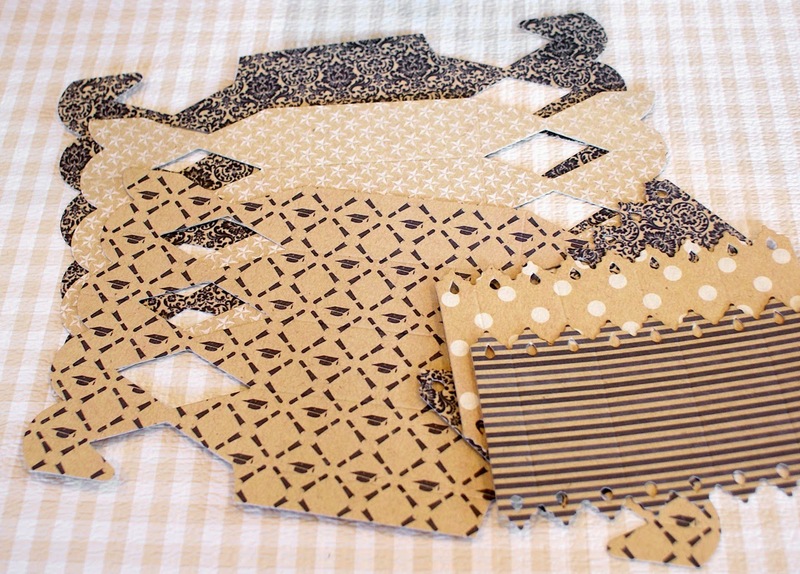 Next, on the scored parts, fold where needed and set aside. 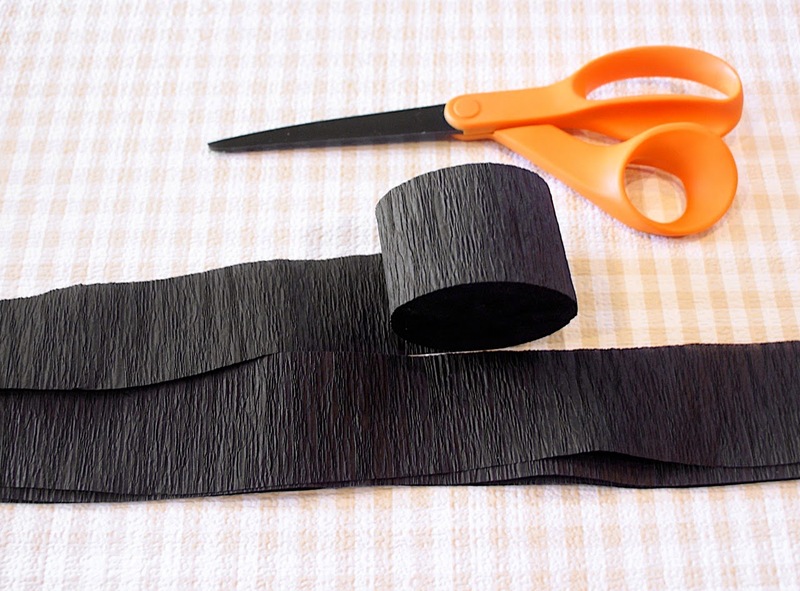 To make the fun crepe paper fringe, (which is one of my most favorite things to create), simply roll out black crepe paper to your desired length, (I used about 2 1/2 feet of crepe paper for my project) and cut. Then continue to lay crepe paper strips on top of each other till you have about 5 or 6 layers. 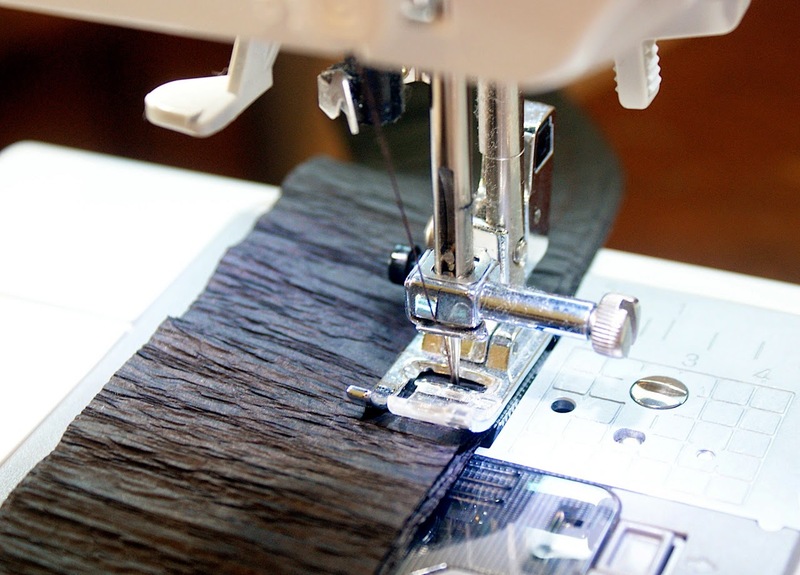 Then simply take your layers over to your sewing machine and stitch along one side about 1/4 inch from the edge. 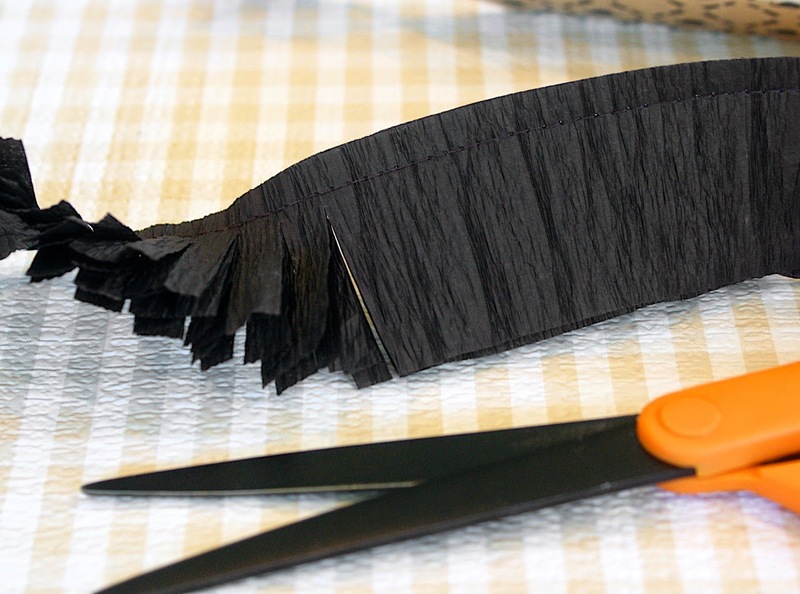 Next, using either fringe scissors, (which unfortunately I do not own yet), or regular scissors, begin cutting into the crepe paper about every 1/4 inch or so, up to the sewing line, though being careful not to cut through the sewing. Continue cutting all the way to the end. 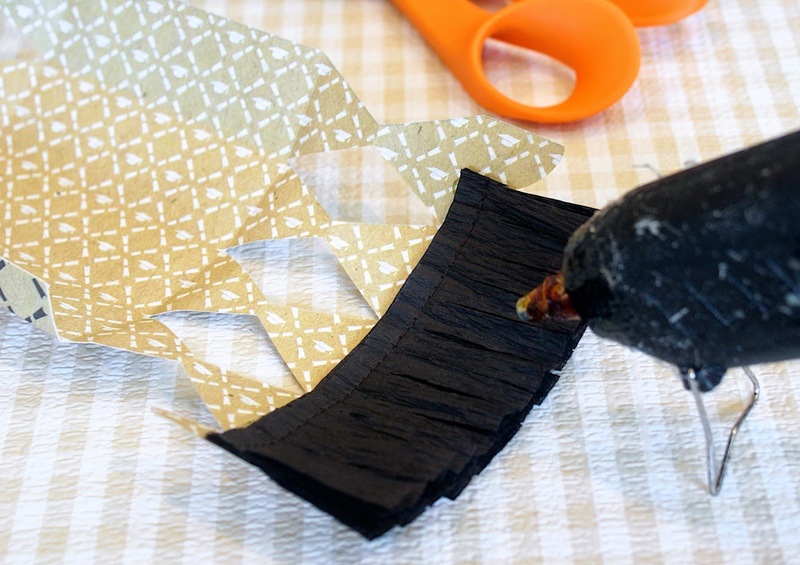 Next, lay your treat popper down, (wrong side up), and lay a bead of hot glue along the edge, leaving about 1/2 inch from the end, (this is so your popper will close nicely), then lay down a piece of crepe paper fringe down onto the glue to adhere. 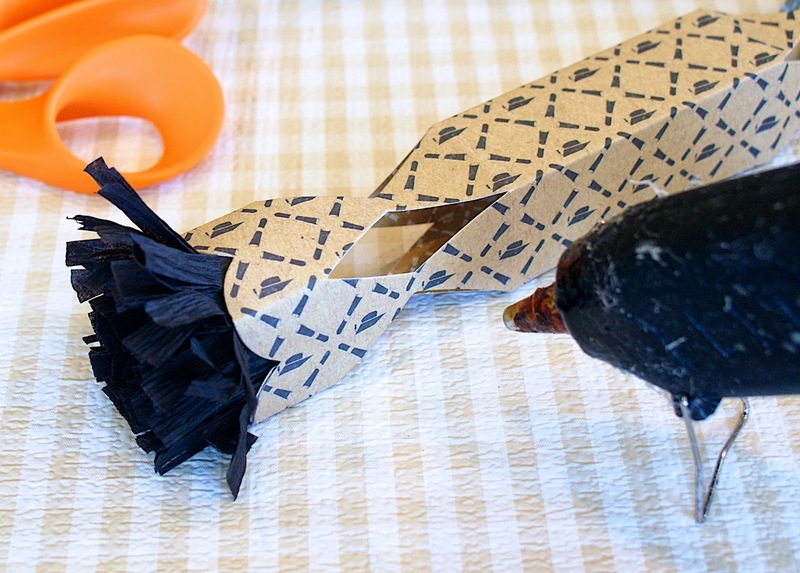 Once you have your crepe paper adhered, you can now roll up the ends and adhere the ends together. 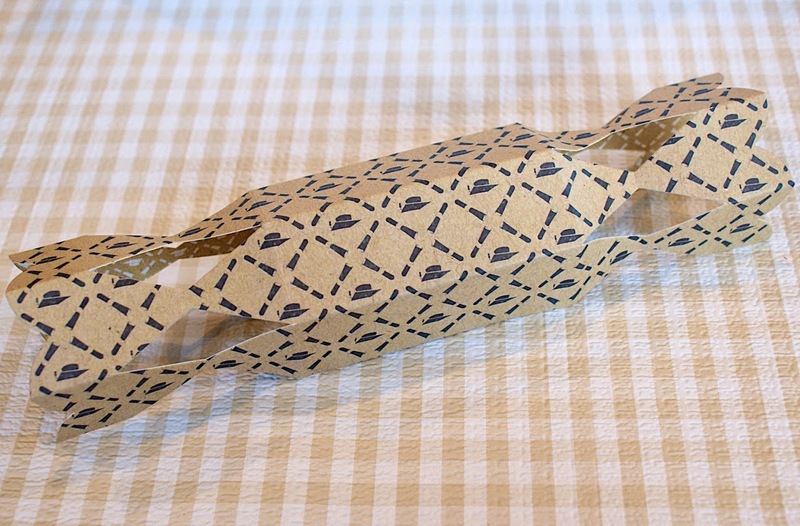 Next, wrap the popper wrappers around and adhere into place. 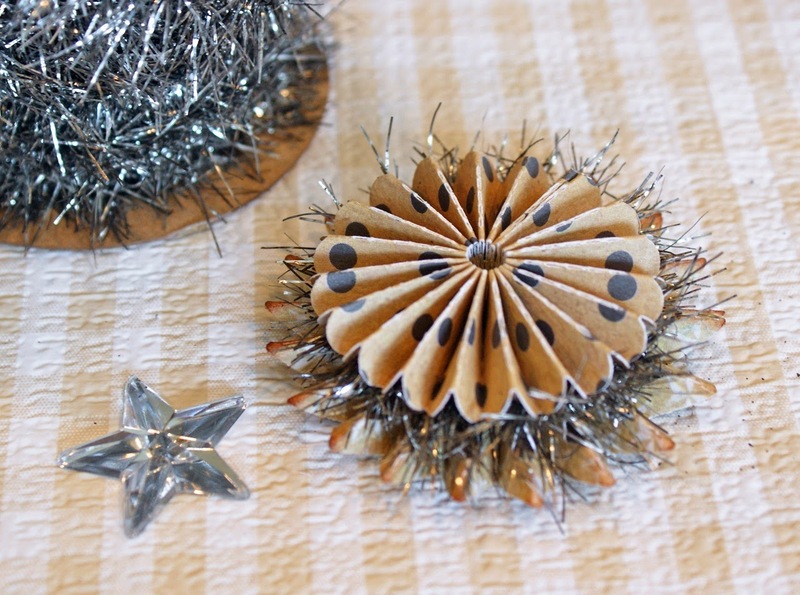 For the finishing embellishments, I used a "Medallion" die from Sizzix, (which creates two different sizes), and some vintage tinsel and mirrored stars. 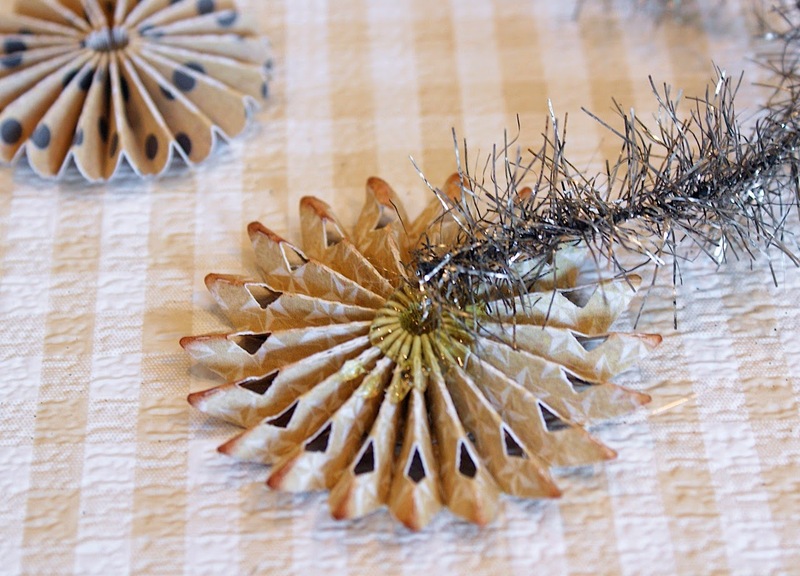 ....then added the smaller finished rosette to the top of the larger one, then wound the vintage tinsel around the two layers, and tucking in the end. Finish by adhering a mirrored star to the top of the medallion and adhering the medallion onto the popper. At this point all that is left to do is to tie one end of the popper with polka dot ribbon, then twine and a small sentiment tag. 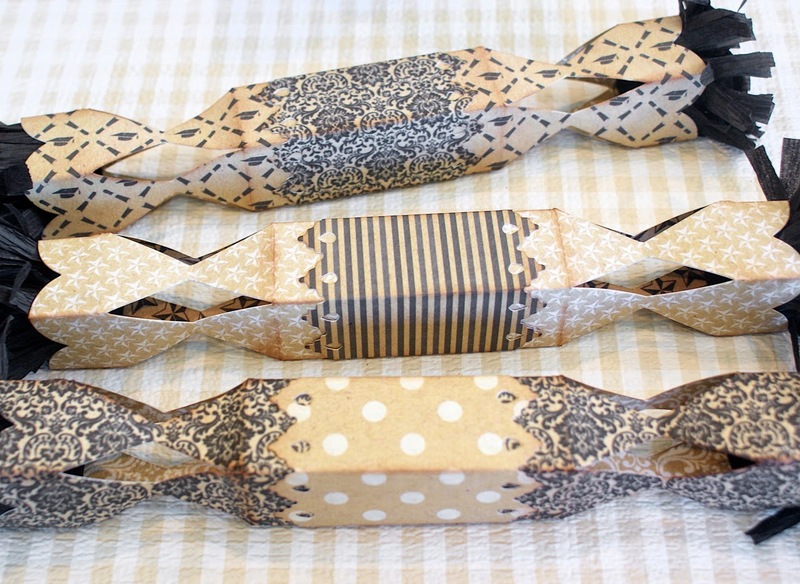 Before securing the other end, fill your popper up with small treats and goodies for your recipients, then tie the other end closed with polka dot ribbon. Voila! 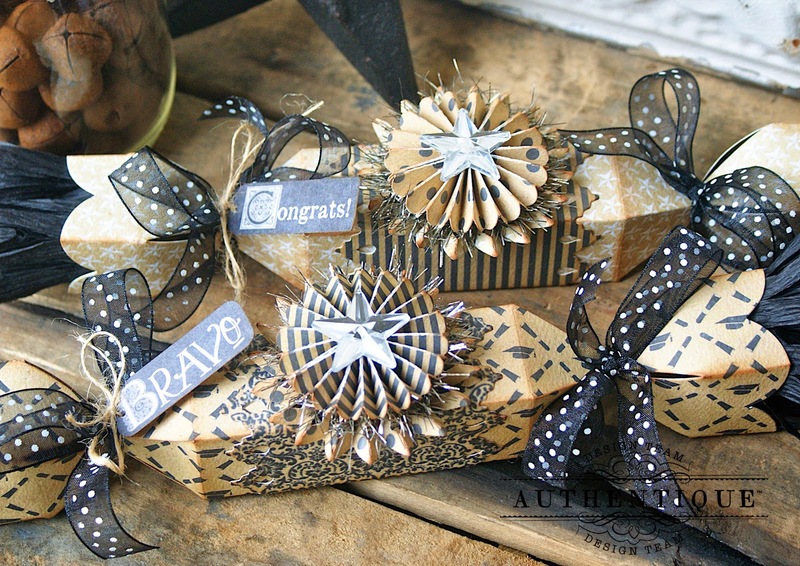 Your vintage "Diploma" treat poppers are finished! I call them "Diplomas" because rolled up, that's what they remind me of. Thank you all so much for stopping by and I hope I've inspired you to create some fun "Diploma Poppers" for your graduation parties! 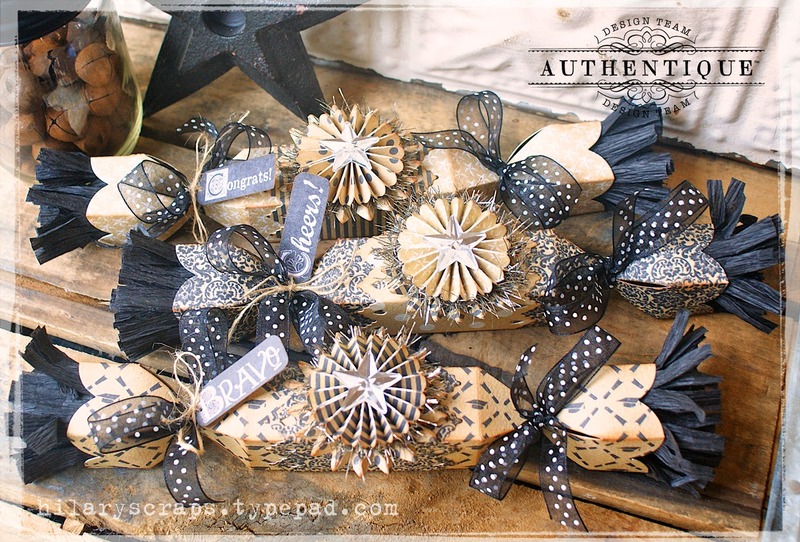 From Authentique Paper: "Accomplished" papers and "Stickers"
From Sizzix: Brenda Walton's "Treat Popper" and "Medallions" die, die cut machine, black crepe paper, sewing machine, scissors, polka dot ribbon, vintage tinsel ribbon, mirrored stars, (Tim Holtz), twine, hot glue, distressing ink. This is all pure eye-candy! I love the gorgeous poppers! I love these! they look amazing! love the color combo, too! Okay ... picking up my jaw... these are Gorgeous !! Love the Accomplished Collection... the prints are awesome, and the colors striking ... Just gorgeous love, love, love that polka dot ribbon ... so perfect !!! Awww.....thank you so much for you sweet comment Rea! ;) Have a great week! These are so pretty! 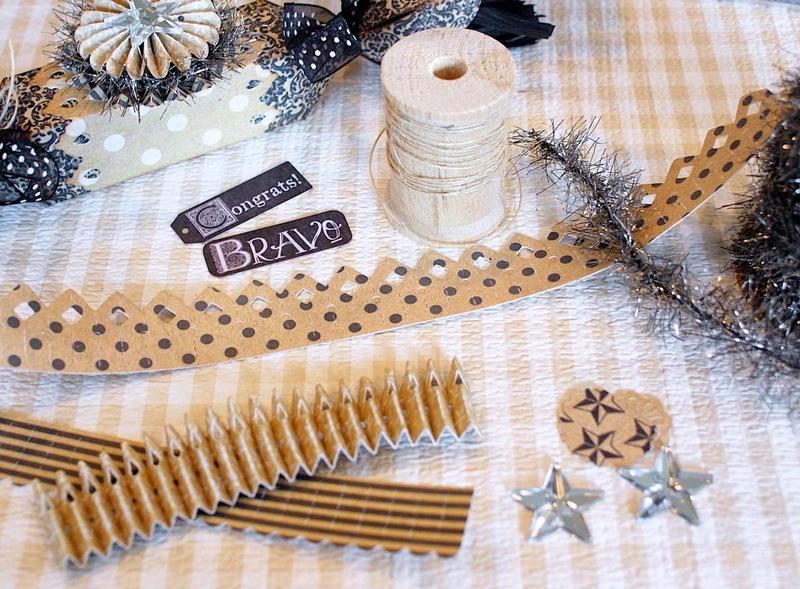 Love the extra details you added all through like vintage tinsel and crepe paper. Yours really are so over the top, fun! I think the tinsel under the medallion really sets it off. Can't wait to try it myself!